The answer to that question came recently when Google announced that it was making Zagat.com free and integrating its content into a new Google+ Local property. 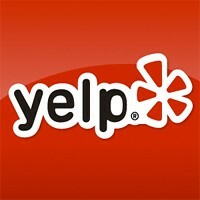 Yelp’s response to that: ink a deal with Microsoft’s search engine, Bing. “Enabling people to do more with search involves building a spectrum of features and data that people trust, and teaming up with Yelp is another important step in helping Bing deliver great value to customers,” according to Bing GM Mike Nichols. Bing’s Yelp deal resembles the one the search engine recently announced with Encyclopaedia Britannica, which will see Bing surfacing more detailed information from Encyclopaedia Britannica in certain search results. It’s likely that we’ll see more deals of this nature. Like it or not, search is becoming deeper and more vertically-oriented. Google and Bing have clearly decided that it’s not enough to simply provide search results; displaying more detailed information in the SERPs and creating new experiences for popular and lucrative verticals is a must. Google has made it clear that it’s willing to acquire companies in its drive to do this, while Bing finds partnerships more to its liking. In either case, this evolution of search is clearly a double-edged sword for publishers. Some will see the Googles and Bings of the world team up with or buy outright the competition, while others will take advantage of the opportunity to partner or sell themselves. The relationship between marketers and social media has blossomed in the past several years. And for good reason: in the past several years, social has cemented itself as one of the most popular and prominent digital channels. For many companies, that has led to increased investment and the establishment of organization-wide best practices.